The market is littered with the corpses of over-geared, would-be consolidators that grew too fast and didn’t fully integrate acquisitions along the way. You needn’t even stray outside of the telco sector to find a recent and very public example in Vocus Group (ASX:VOC). 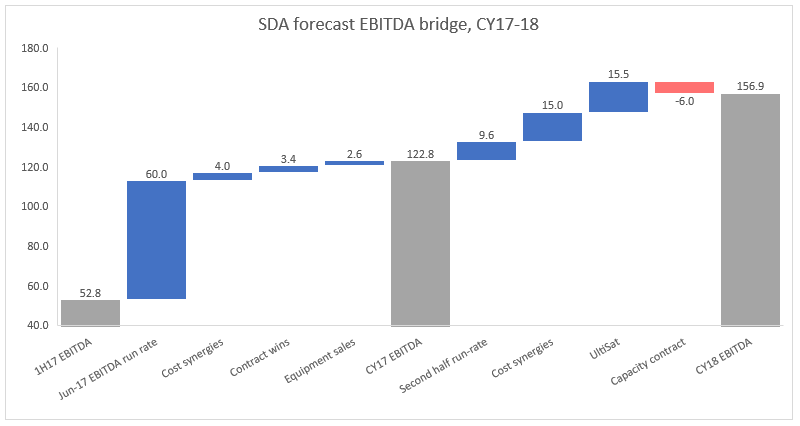 You would therefore be forgiven for dismissing SpeedCast (ASX:SDA) as another roll up with a bloated balance sheet and little organic growth. For those unfamiliar with the business, SpeedCast is a leading global satellite services provider, operating in the maritime, energy, enterprise and government verticals. 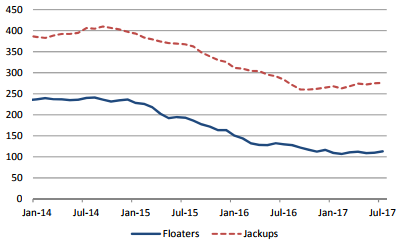 In November 2016, SpeedCast acquired one of its key competitors, Harris Caprock in order to create a leading position in the energy market, at what it viewed to be the bottom of the cycle in terms of earnings and activity. This doubled the size of the business, dramatically increased exposure to energy markets and required a ~$280m capital raising from shareholders. Eight months later SpeedCast announced another smaller acquisition to create a new government vertical, primarily to diversify earnings and capitalise on increased US government spending over the medium-term. Given the acquisition was debt funded, it implied gearing would stay elevated for another 12 months and that management had yet another execution hurdle to surmount. How does SDA offer 'value?' It's trading on a forward pro forma EV/EBIT of about 12x, using $134m post Utilisat EBITDA, ~$30m D&A (6% revenues * $500m pro forma revenue), and net debt of $369m. That is a premium to the overall market, and that's aside from the issue of questionable organic growth and a 3x EBITDA debt load. I suspect the business won't trade at a 12x EBIT if they put a foot wrong in integrating their most recent acquisitions, so the risk to equity here is large given the dynamics of 1) high leverage, 2) potential multiple de-rate if acquisition integration doesn't work out perfectly, and 3) earnings miss. What's the business' estimated underlying organic growth rate, if you strip out the impacts of all the acquisitions?